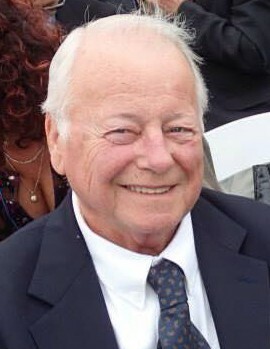 Obituary for Richard A. Brackin | Doherty Funeral Homes, Inc.
Richard A. Brackin, 84, of Wilmington, Delaware passed away peacefully on Sunday, March 31, 2019 with his loving family by his side. Born in Wilmington, he was the son of the late John and Clara (Ferguson) Brackin. 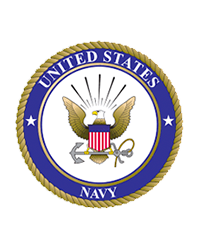 Richard was a veteran of the United States Navy and was stationed in Hawaii during the Korean War Era. It was during this time that he married the love of his life, Margaret Nourse, and the two embarked on a 61 year journey. A hard working, industrious man, Richard worked as a lab technician with DuPont, as operations manager with Almart Department Stores, and lastly as a security specialist with Security Instruments. In his retirement years, Richard enjoyed working at the Kirkwood Highway Branch of the New Castle County Library System. Richard was an avid stamp collector and sports enthusiast who loved spending his mornings playing pool with his friends at the Mid County Senior Center. He especially enjoyed cheering for his grandchildren at their sporting events. He also enjoyed traveling with “Mar-Mar” and their family to Hawaii and New Orleans. Sadly, Richard was predeceased by Margaret on February 18, 2016. Richard is survived by his children, Susan B. MacDonald (John), Stephen L. Brackin (Jo Ellen), Linda B. Jones (Thomas), and Thomas J. Brackin ; his nine grandchildren, Cameron Powers, Christopher Carlton, Caitlin Grant, Erin Brackin, Michael MacDonald, Alex Carlton, James MacDonald, Thomas J. Brackin Jr., Colin Brackin; his eight great grandchildren; his sisters, Charlotte McQuaid and Joan Schuler. Family and friends are invited to visit at the Doherty Funeral Home, 3200 Limestone Road, Pike Creek on Tuesday, April 9 from 9:30-11:30AM. A service in celebration of Richard’s life will begin at 11:30AM, immediately followed by interment in the Delaware Veterans Memorial Cemetery. In lieu of flowers, memorial donations may be made to Seasons Hospice, 220 Continental Drive, Newark, DE 19713.